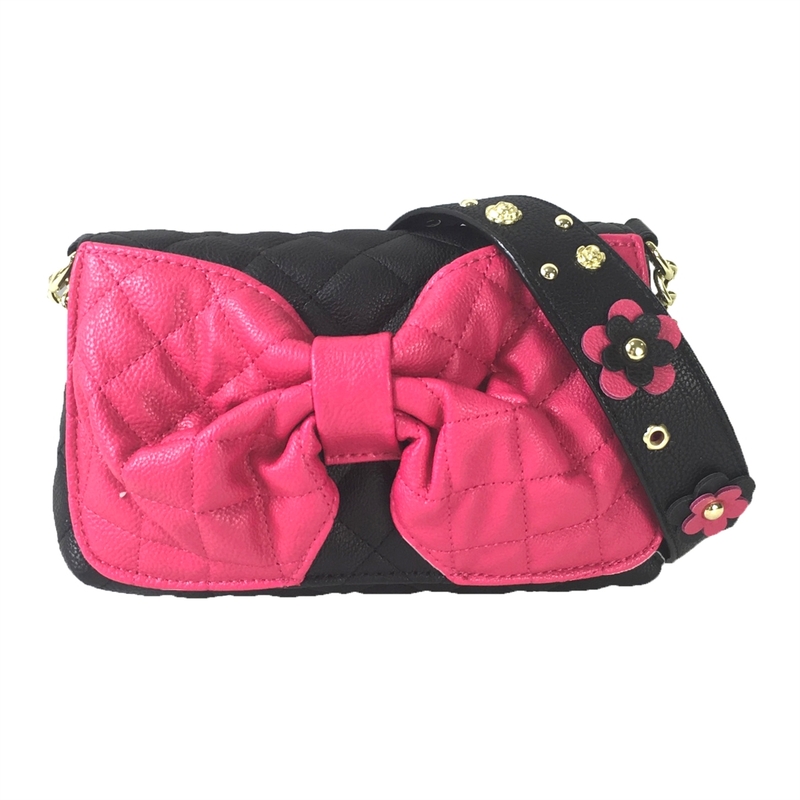 This feminine and flirty crossbody by Betsey Johnson features a big bow applique at front & bejeweled guitar strap. 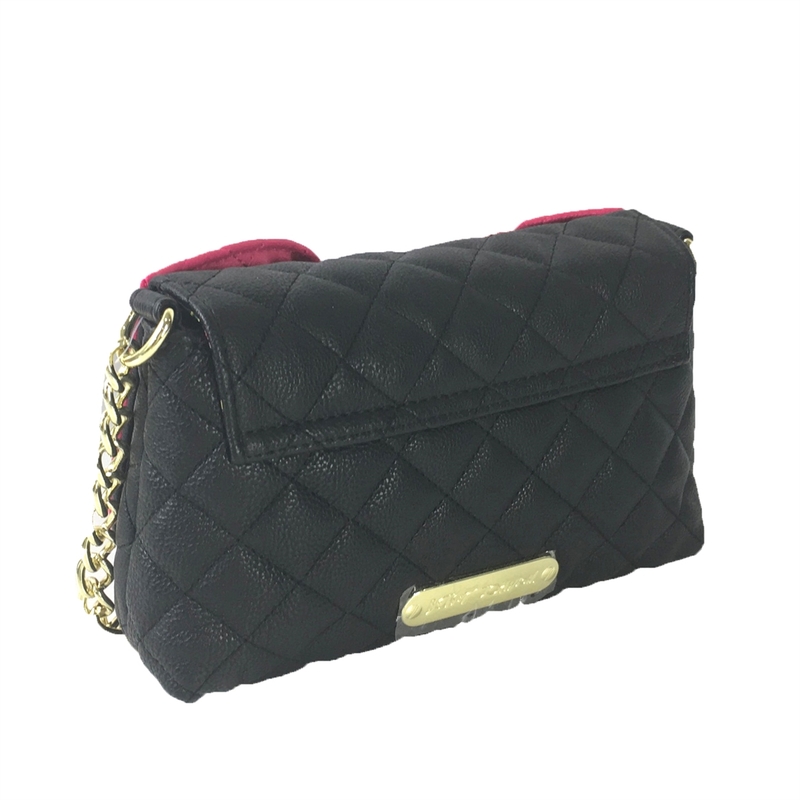 Flap shoulder bag in quilted synthetic leather. Front bow applqique. Signature logo plaque at back. Goldtone hardware. Flap w magnetic closure. Lined. 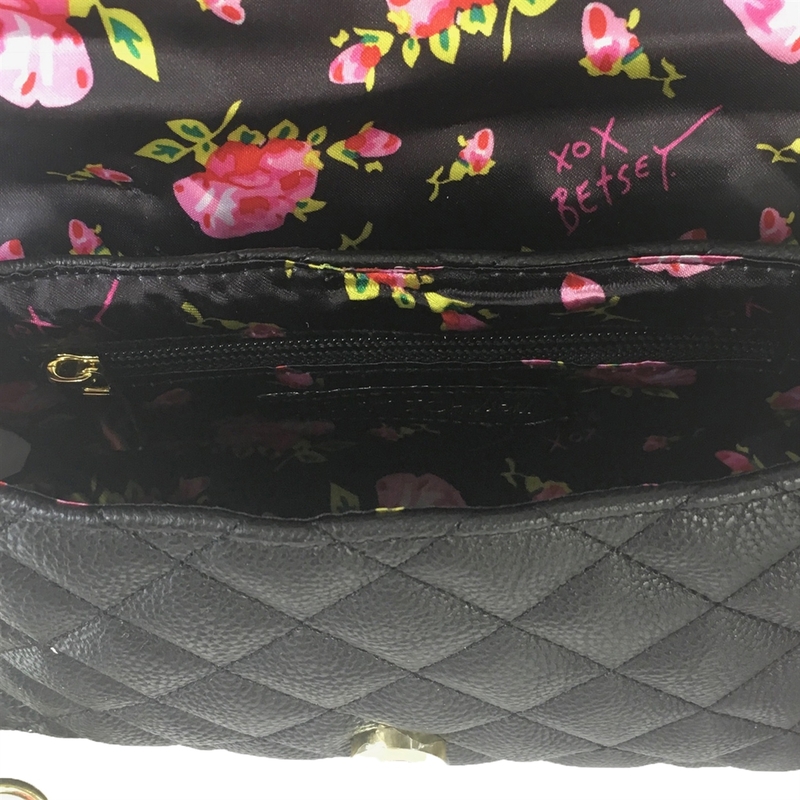 Interier zip pocket.